CARBON BRAKES. NAVIGATION. REAR CAMERA. HI-FI LOUDSPEAKER. SAT NAV. BLUETOOTH. STUNNING YAS MARINA BLUE METALLIC WITH EXTENDED MERINO LEATHER SILVERSTONE. ALL IMPORTANT RUNNING IN SERVICE COMPLETED. COMPETITION PACKAGE. 20" M SPORT 666M FORGED WHEELS. ADAPTIVE MSPORT SUSPENSION. MSPORT EXHAUST WITH BLACK CHROME TAILPIPE FINISHERS. SATELLITE NAVIGATION. ELECTRIC MEMORY SEATS. STILL UNDER BMW WARRANTY. PLEASE GOTO www.lowcostmotorcompany.co.uk TO VIEW OVER 120 CARS IN STOCK, SOME OF THE CHEAPEST ON AUTOTRADER. COMPETITION PACKAGE. 20" MSPORT ALLOYS. ADAPTIVE MSPORT SUSPENSION. SAT NAV. 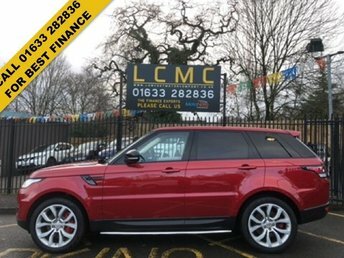 Get the best deal on a used car for sale in Newport by making your way to Low Cost Motor Company today. You will find every available model listed here on the website, and as all our stock is competitively priced you should have no problem sourcing a pre-owned to suit your budget. Take the opportunity to browse our current range online before contacting a member of the showroom team to find out more. Our friendly and knowledgeable staff will be more than happy to answer any questions and provide advice and guidance when necessary. Alternatively, why not pay a visit to our showroom in person and take a closer look at the selection of used car models for sale.